Elokuu-ensemble (August Ensemble) is versatile and openminded chamber music group with 10 years experience of playing together. 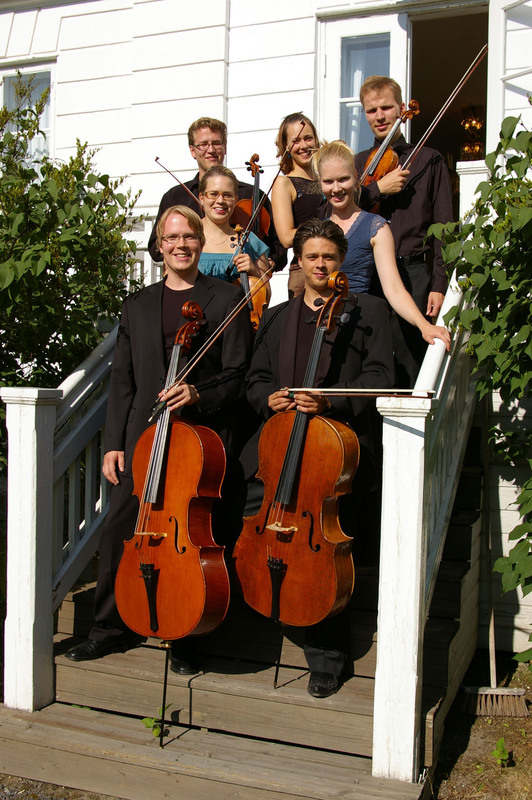 It's members have been succesful in several national and international competitions, including 1st prize in K.Penderecki -cello competiton 2008 (Samuli Peltonen), 2nd prize in Baltic - Nordic -duo competition 2004 (Samuli Peltonen and Anna-Mari Murdvee). 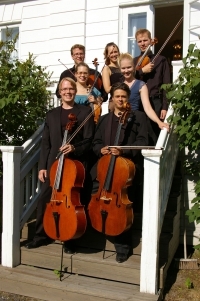 Members of Elokuu-ensemble perform regulary round the year in smaller ensembles and gather at the end of summer in Southern Osrobothnia, in town of Seinäjoki, where they organize a chamber music festival Säveliä Elokuussa (Tunes in August). This particular year we celebrated the 10 years anniversary of summer concerts! Repertoire of our Ensemble is very versatile - from solo pices to sextetts and septettos. We are very happy to have also Icelandic composer's Karolina Eriksdottir's cycle "Clouds" for solo cello and danish composer Hans-Henrik Nordstrøms work "The Surviving", inspired by a painting of Asger Jorn, for string quartet & 4-hand piano.